October 8, 1920 - April 12, 2019 Kennett Square, PA | Age 98 Loving Mother, Grandmother, Great Grandmother and Friend. 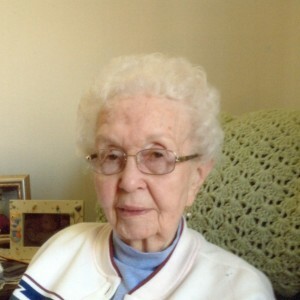 ANNA MARTELLI, age 98, of Kennett Square, PA, passed away on Friday, April 12, 2019 at Linden Hall. She was the wife of Anthony J. “AJ” Martelli, who passed away in 2004, and with whom she shared 45 years of marriage. Her first husband, John David Burke passed away in 1953. Born in Northbrook, PA, she was the daughter of the late Delmar Shaw and the late Tressa Smith Shaw Oatman. She was a member of the Toughkenamon Presbyterian Church, and a life member of the Kennett Senior Center where she worked in the kitchen and assisted with crafts. Mrs. Martelli enjoyed sewing, cooking, baking, travelling and being with her family and friends. She was a homemaker. In her earlier years, she had worked at the NVF Co. and Powell Mushrooms. She is survived by one son, Peter G. Martelli, Sr. and his wife Denise of Toughkenamon, PA; one daughter, Ruth DiBenedetto and her husband Francis of Wilmington, DE; five grandchildren and nine great grandchildren. Mrs. Martelli was predeceased by one brother, John Shaw; one sister, Ruth Eaby; one daughter, Barbara DiFilippo and one granddaughter, Angela DiBenedetto Matt. You are invited to visit with her family and friends from 10:00 to 11:00 on Thursday morning, April 18, 2019, at the Kuzo Funeral Home, 250 West State Street, Kennett Square, PA. Her Funeral service will follow at 11:00. Burial will be in St. Patrick’s Cemetery, Route 82, Kennett Square, PA. Please enhance this tribute to Mrs. Martelli by adding your memories. We are so very sorry about the loss of your mom. Please know we are keeping you in our thoughts and prayers. Ruthie, dear friend, I am so sorry to learn of your mom’s passing, Sending my love and prayers to you, Frankie and all your family. Ruth, I am very sorry to read of your mother’s passing. My wife Mary Anne just lost her brother so there are some thoughts still in my head. Your thoughts are in my head. God Bless.